We're so impressed and in love with this chic, minimalistic look. 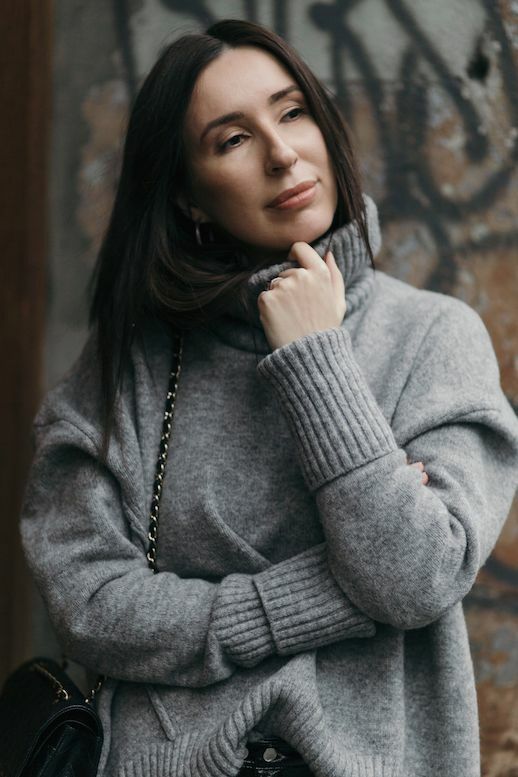 This blogger stunned in an oversized turtleneck sweater, massive camel coat, leather pants and suede boots. She's proving that less is sometimes way more.